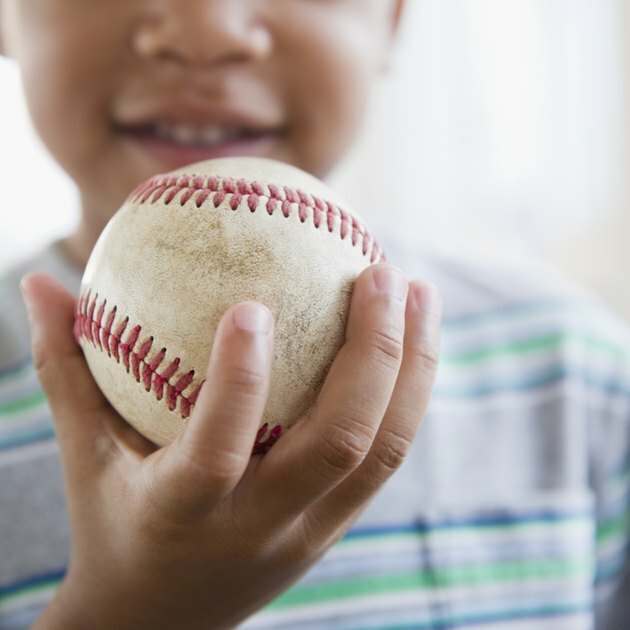 What Is the Difference Between Baseballs? On the surface, all baseballs are nearly identical. Featuring the classic white surface with red stitching and small spherical shape, it is difficult to understand why one baseball costs significantly more than another baseball. But if you dive into the center of a baseball and take a look at the inner anatomy, you will better understand the difference between baseballs. The material that surrounds the baseball is referred to as the "cover." Leather covers are the most popular choice, as they allow for better grip, improved performance and longer life. The most expensive and highest-quality baseballs use high-grade leather covers that are securely bonded to the windings underneath. Less expensive baseballs use synthetic covers, which are typically made from vinyl. Synthetic covers resist dirt and water, which allows them to maintain their color and shape well. The type of seams a ball has is important when handling the ball. The two pieces of the ball's cover are stitched together with raised, rolled or flat seams. Raised seams are elevated off the surface of the baseball. As such, they grip air currents as they fly. Baseballs with raised seams are most commonly used for beginner pitchers, casual play and instruction purposes. Rolled seams feature a less distinct elevation from the ball's surface. All Major League Baseball games use baseballs with rolled seams. Flat seams are flush with the surface of the baseball. Since they are more difficult to grip, baseballs with flat seams are rarely used in games. However, they are ideal for use in pitching machines. The ball's "windings" refer to the thick layers of yarn that surround the rubber core. Typically, the yarn used is either pure wool or a wool blend. The winding used in an MLB ball is at least 85 percent wool, which is wrapped very tightly around the core. Since wool windings have a high compression and quickly revert back to their original shape, they significantly extend the life of the ball. However, most baseballs use a less expensive wool blend. The ball is then tightly wound in cotton string. Certain low-quality baseballs have no windings; they simply feature a rubber center surrounded by a solid composite cork ball. At the very center of a baseball is a core made of cork, rubber or a combination of the two. Professional baseballs, such as those used for MLB games or in college tournaments, generally have a cushioned core, which features a thin layer of premium rubber surrounding a small cork ball. Cushioned cores are the densest type of baseball core. College and high-school baseballs generally feature cores with less density, such as a pure cork core. Baseballs used for children or practices might feature a low-quality cork of either solid rubber or a combination of rubber and ground cork. Typically, two layers of rubber surround the center core.